Milan has never been one to shy away from the limelight when it comes to fashion. And its residents will be the first to tell you that even stepping onto a metro train is like entering a half empty nightclub, because all eyes will be on you and what you’re wearing. Italy’s fashion capital is way ahead of most other cities when it comes to releasing the hottest new clothing lines. Needless to say, it’s a great place to visit if you like keep up with the latest trends. Here are some of the best places to indulge in some retail therapy – whether it’s haute couture or high street bargains you’re looking for. It makes sense to visit one of the Big Four (fashion capitals – the others being London, Paris and New York) to buy designer clothing. They’re where the new fashion lines are previewed months before their release, after all, which means you’re more likely to pick up something you can’t get back home. Milan is home to the headquarters of Armani, Dolce & Gabbana, Miu Miu, and dozens more of the big names in fashion. So it’s a good place to start. Quadrilatero d’Oro: Home to the majority of the fashion powerhouses in the city, Quadrilatero d’Oro (the Rectangle of Gold), is where to go if money is no object. 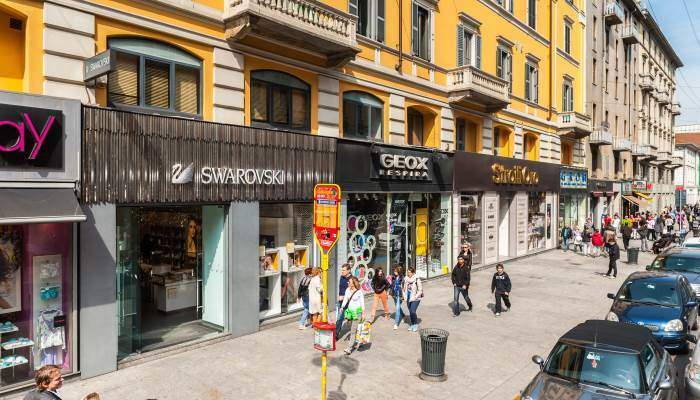 The attractive haute couture shopping district is shaped by four thoroughfares: Via della Spiga, Via Manzoni, Via Sant’Andrea and Via Montenapoleone, each filled to the brim with jewellery and clothing boutiques, so there’s a lot of choice here. That’s not all this posh area has to offer, though. There’s museums, cafes and book shops nearby all adding to its appeal. If your budget doesn’t quite stretch to Bottega Veneta handbags or Chanel purses, that doesn’t mean you can’t nab yourself some on-trend gems from some of the high street shops dotted around the city. Corso Buenos Aires should be your first port of call when you go on the hunt for some more moderately-priced clothing. Corso Buenos Aires: With reportedly the highest density of shops in one area in Europe, this street is made up of attractive 19th and 20th century buildings. It’s where most of the city’s Christmas decorations are sold in the months running up to the holiday, so expect it to get extremely busy around this time. It’s also easy to get to, with two metro lines stopping there, and frequent trains transporting the hoards of shoppers to and from it all day. Corso di Porta Ticinese: This street is geared more towards the vintage and independently-produced clothing and accessory enthusiast. There’s a great selection of outlets here, with products to suit all budgets. So whether you’re looking for quirky jewellery, skate accessories or Japanese street wear, you’re bound to find something of interest here. And when you’re done, take a stroll to the Basilica of Sant’Eustorgio or Diocesan Museum – or better yet, get these out of the way first, so that you don’t have to haul all of your bags around with you. Fashion outlets are a godsend for those with a penchant for the designer labels but without the cash to back it up. 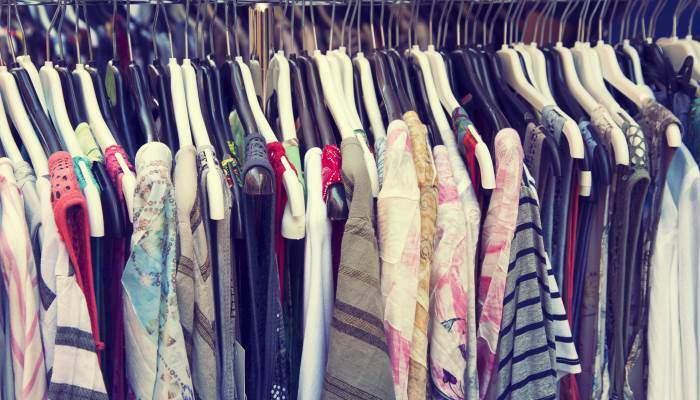 They allow you to pick up off season pieces at a fraction of their usual price, so it’s well worth heading down to one of the city’s favourites to have a browse around. Il Salvagente: Set on Milan’s west side close to Milano Dateo metro station, this is one of the go-to discount outlets in the city, selling a range of designer pieces from Burberry Brit to Stella McCartney. But it’s not just clothing from established designers you’ll find here, you can also browse through pieces from emerging talent. Dmagazine Outlet: This is another option if you’re looking for a cheeky designer bargain. There are three branches all relatively close to each other. 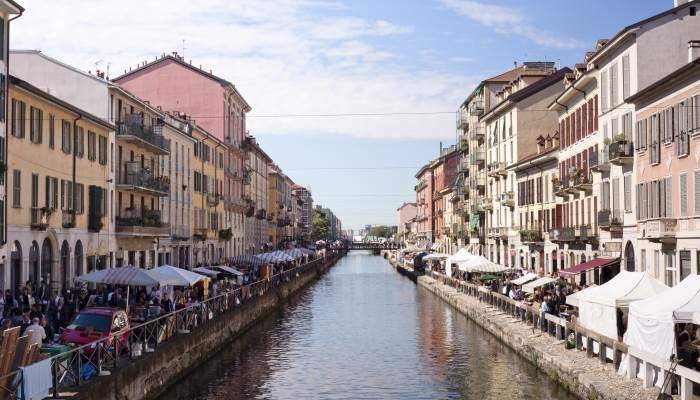 You’ll find one on Bigli street and one on Manzoni street, which are both close to the Palazzo Morando art gallery and open seven days a week. The other one is a bit closer to the outskirts of the city, and its nearest train station is Milano Porta Genova. There are also a handful of bus stops and a metro station nearby. Fiera di Sinigallia: This famous weekend flea market has its roots in the early 19th century. It’s been known for attracting a fringe crowd who are less interested in designer pieces and more so in quirky, antique items. What you’ll come across is anyone’s guess, but possibilities include rare vinyls, comic books, and vintage clothes for less than €5! We recommend visiting in the morning to avoid the crowds, and after, taking a stroll along the canal with street food from one of the stalls. 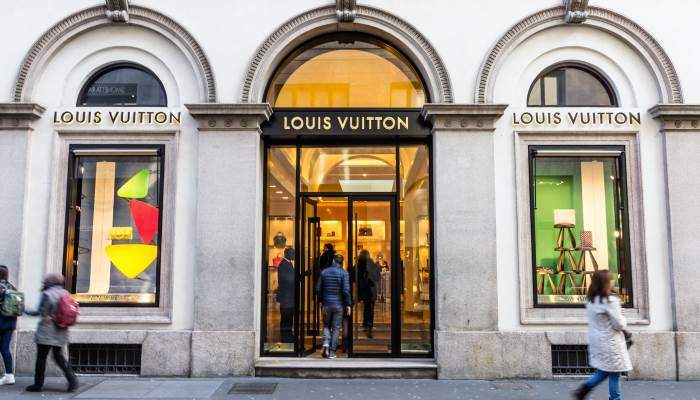 All ready to shop ’til you drop in Milan? We can help you grab a bargain on the flights and hotels you need to travel there.